Sometimes I am collecting source material for paintings. Sometimes I am just connecting with a place. Noticing details. Breathing in the stories. Feeling the significance. 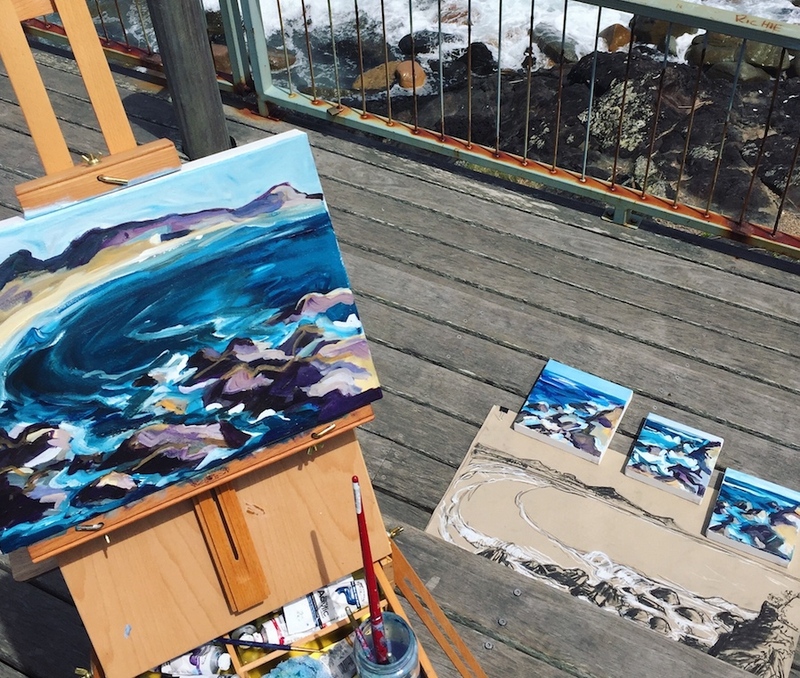 Working en plein air allows me to respond immediately and authentically, and teaches me to look and listen deeply. It is never just about recording a view. It is always about learning. Although I have always been a coastal dweller, it is the interior of our country that most fascinates me. It has my heart. The landshapes are dramatic, surprising and uncommon. The colours are rich and the plant life is captivating. Remarkable skies. Endless red. Open spaces. Sacred places. I began collecting sketches on our last outback wandering. But not enough. I am eagerly anticipating our next adventure through the deserts and remotest parts of this land in 2018 and hope to produce a body of work as we journey.